Kitchen Plumbing | Brooks Plumbing Co. Waiting for a repair technician to fix your kitchen plumbing can be an unpleasant situation. Your plumber may try to show up as quickly as possible, but your dinner plans are already ruined, as you cannot properly drain wastewater, or because your kitchen sink does not provide adequate water pressure. There are a few things you can do to keep things running smoothly in your kitchen. If you do find yourself in need of kitchen plumbing repairs in Olympia, call on the expertise of the skilled plumbers at Brooks Plumbing right away. Dispose of F.O.G. in a separate trash receptacle. Fats, oils, and grease (F.O.G.) can cause a lot of problems for your plumbing even though they may appear to be harmless. When grease cools down it solidifies, and it may become stuck to the insides of your pipes. As you add additional F.O.G. and food of the garbage disposal, they can become caught along with the sludge, until a major drain clog forms. Don’t use chemical drain cleaners in case of a clog. Any plumber will tell you that chemical drain cleaners are dangerous and can have disastrous effects for the skin and eyes. Also, these liquid cleaners are simply incapable of dissolving every type of blockage that may affect your drain pipes. If a plunger does not dislodge a kitchen plumbing clog, you need professionals with drain augers and other tools to clear away blockage for good. Do not throw non-food items, hard food items, or fibrous foods in the garbage disposal. Plastic, paper, glass, metal, and hard-food items such as meat bones do not belong in your garbage disposal. Your unit simply cannot process these types of items and may break down in the process, so that you’ll need to replace your entire unit to avoid clogs. Additionally, fibrous foods like corn husks and celery can wrap around the blades, impairing your unit. Schedule plumbing maintenance every year. Finally, be sure to schedule plumbing maintenance every year for a thorough inspection of your pipes and fixtures. Plumbers will look for any leaks that could reduce the water pressure of your kitchen sink and will clean and adjust components of your plumbing as needed. If you need a plumber in Olympia, call the friendly technicians at Brooks Plumbing today! Indoor plumbing is one of the truly outstanding modern luxuries that homeowners enjoy. It is difficult for most of us to imagine living without running water and a piping system to dispose of wastewater. Every time you wash your hands, take a shower, do the laundry or use the toilet, you depending upon the success operation of you plumbing system. Like any other system in your home, your plumbing system is going to experience problems from time to time. Your kitchen plumbing in particular is heavily used and, frequently, abused. Here are some of the common kitchen plumbing problems that your Olympia, WA Plumbers at Brooks Plumbing deal with frequently. Clogged kitchen drains are an extremely common problem that many homeowners have to deal with. In many cases, the causes of clogged drains can be traced directly back to improper use of those drains by the homeowner. It is very important to be mindful of the types of materials you allow to go down your kitchen drain. 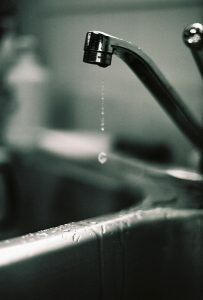 One important rule to remember is that not everything that is liquid can be safely poured into your kitchen sink. Grease and fat, for instance, are liquids when they are hot. When they get into your drain system, though, they will cool down. When they do, they coagulate and can trap other debris and food particles within your drain. This is a very common cause of clogged drains, and a frequent cause of unpleasant drain odor. Another problem that many homeowners encounter with their kitchen plumbing is a broken down garbage disposal. Again, simply being a bit more mindful of what you attempt to put through your garbage disposal can help avoid this problem. In addition to grease and liquid fats, avoid putting very fibrous foods, such as celery and cornhusks, through your garbage disposal. They can tangle up in the blades and damage the motor. Very hard items, such as animal bones, should also be avoided. If you have any issues with your kitchen plumbing, or if you have any questions about your plumbing in general, contact Brooks Plumbing today. A professional Olympia,WA Plumber on our team will be glad to help. Call us today for more details.